The latest edition of the “College Coach’s Perspective” blog series features the number one ranked sport in the U.S., American Football. The recent growth and importance of video in high school football has been astonishing. Video and film have been used for decades in the scouting and recruiting of future college football players. But in the last 10-15 years, football recruiting videos became the rule rather than the exception. The need to centralize and organize these videos for college coaches was becoming more important, and more companies began to sprout up and take the role of the “one stop shop” to view every athlete’s recruiting video all in one place. During this time, All Star Video Sports continued to provide recruiting videos to individual athletes, but remained true to providing the higher quality, premium video to recruits. As a result of All Star and other small businesses focusing on providing the higher quality video over the larger quantity of video to college coaches, we began to see a clearer division of services in the recruiting video industry. This brings us to the college football coach and how they view recruiting videos today. 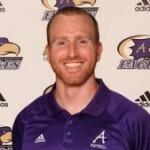 We spoke with Larry Wilcox, head football coach for Benedictine College (Atchison, KS). 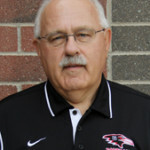 In 36 years as the head coach at Benedictine, Larry has led the program to an overall record of 253-135, to twelve NAIA Football Championship berths, and received Heart Coach of the Year award four times. Both coach Wilcox and coach Berna’s responses were interesting to note. They emphasized recruits taking the time to seek out those colleges that they are actually interested in. Also, sending out a recruiting video to thousands of colleges and teams is not necessarily always the best course of action for a recruit. Making sure you are smart about who you send your video too, in addition to the way the video is received is critical for any athlete trying to get recognized.